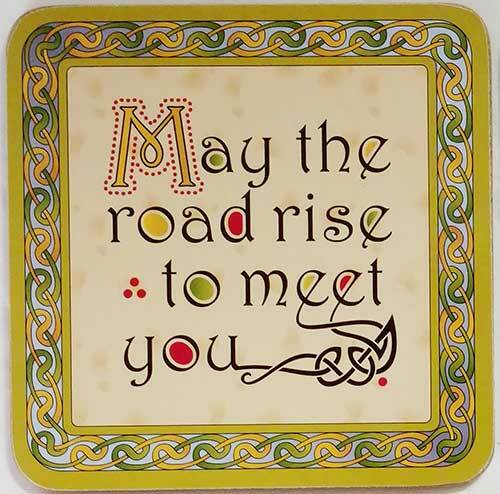 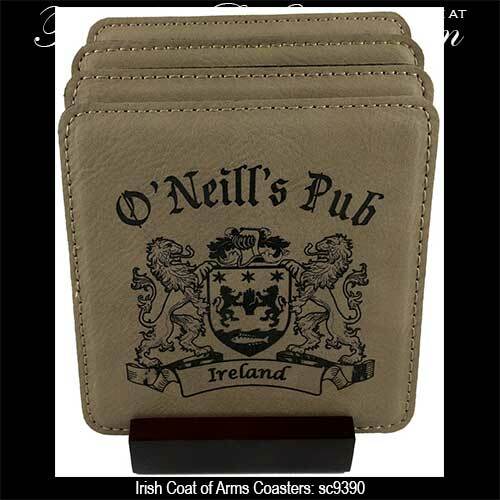 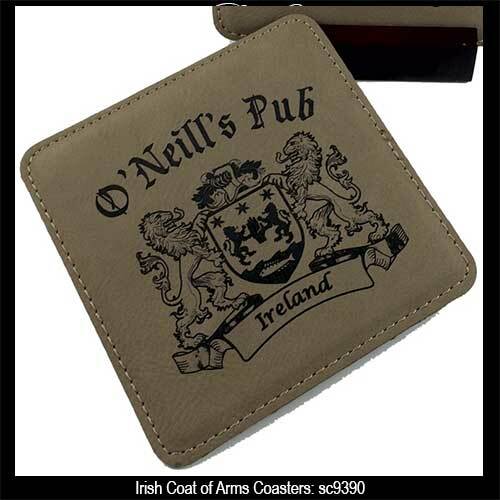 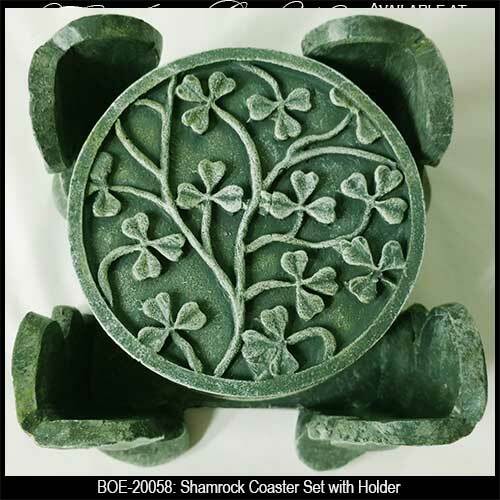 Irish coasters will enhance your table with style. 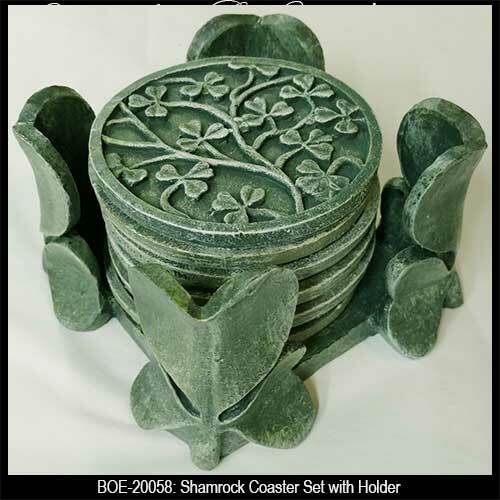 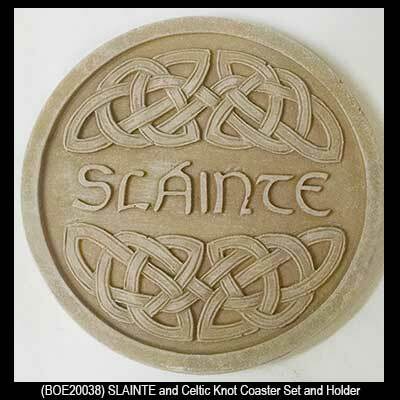 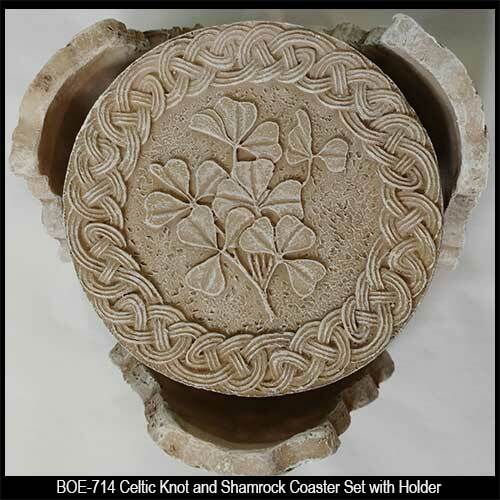 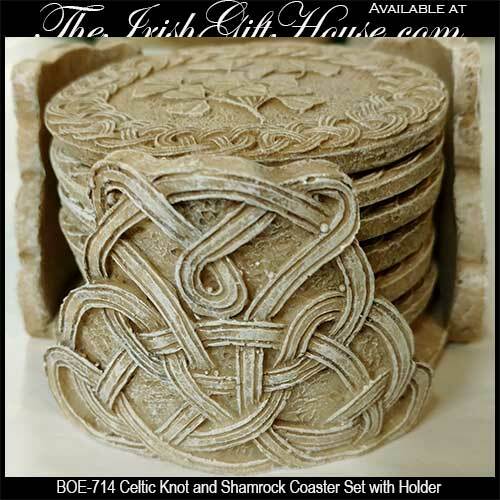 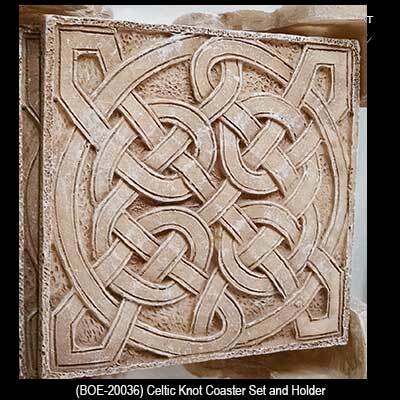 Most of our Irish coasters feature Celtic knots and several sets include the holder. 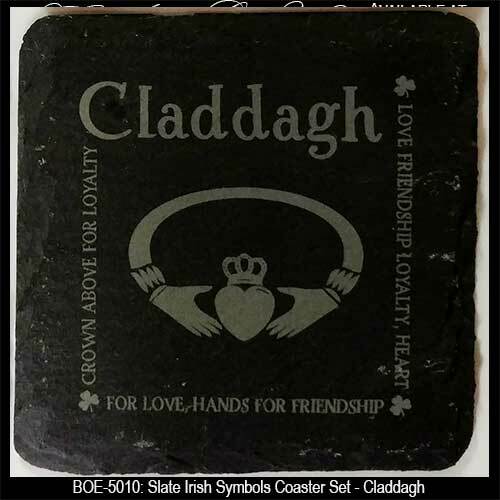 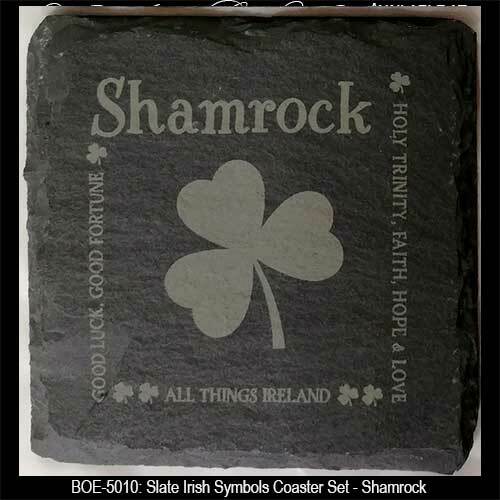 In addition to Celtic knots the Irish drink coasters at The Irish Gift House include the Guinness logo, Irish blessings, shamrocks and the Claddagh symbol. 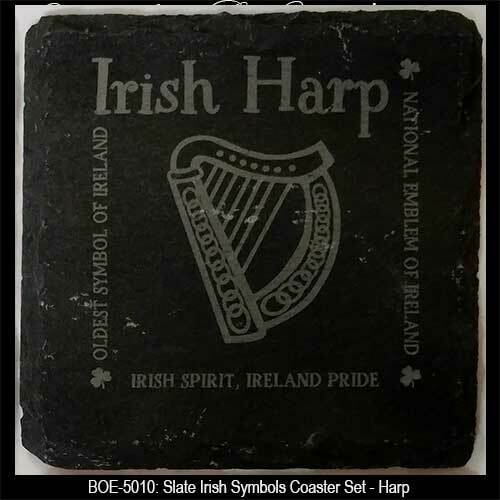 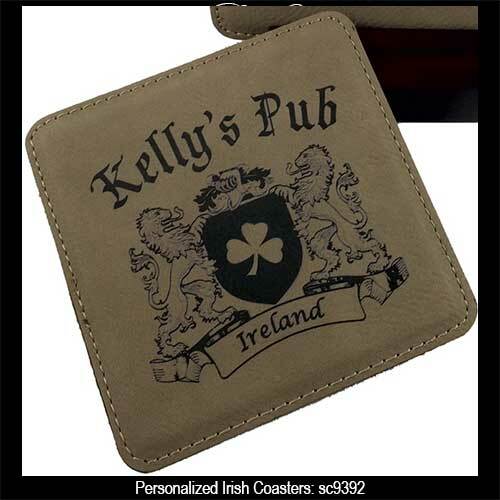 Our Irish coasters look so good that you may not want to cover them with your drink! 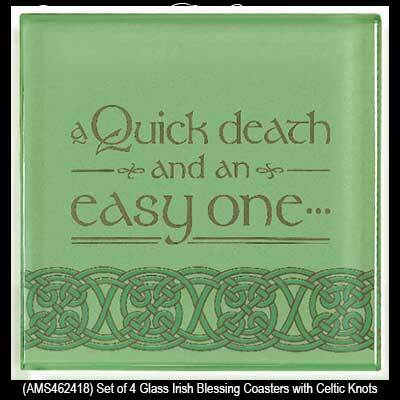 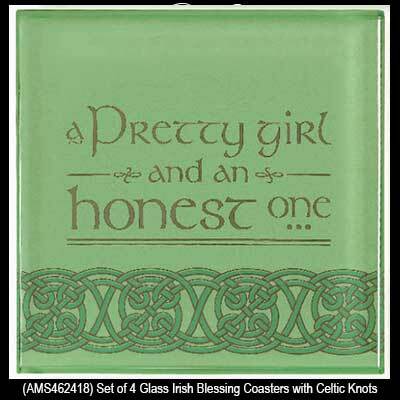 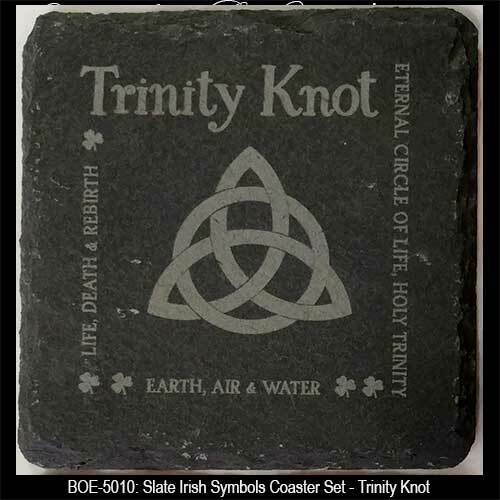 Irish coasters feature Celtic knot-work along with four different Irish toasts. 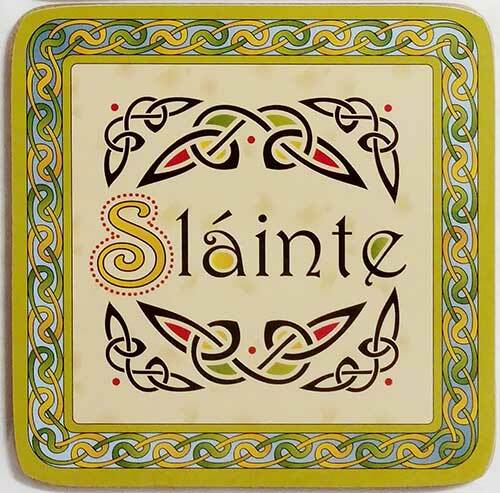 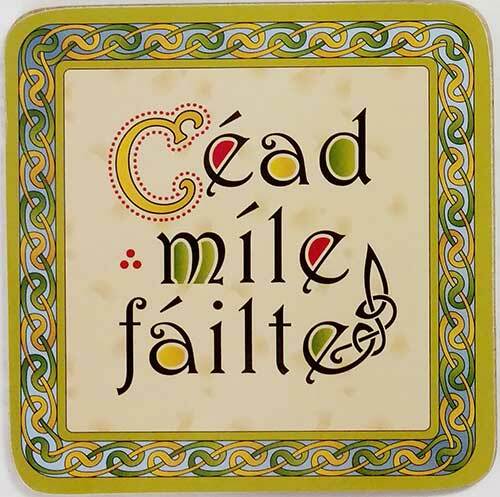 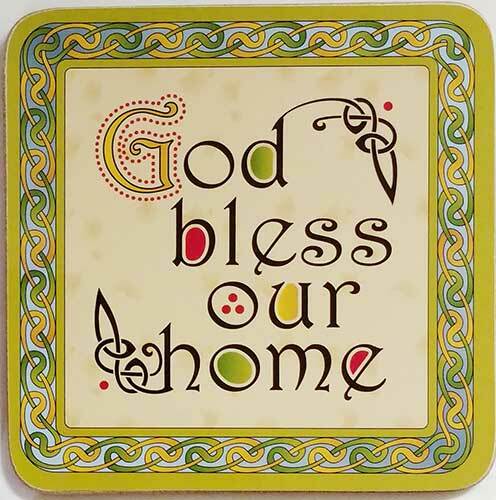 Now that you have selected your Irish coasters you may also wish to select the appropriate vessels to serve your libations, so we will direct you toward the Irish wine glasses for a start. 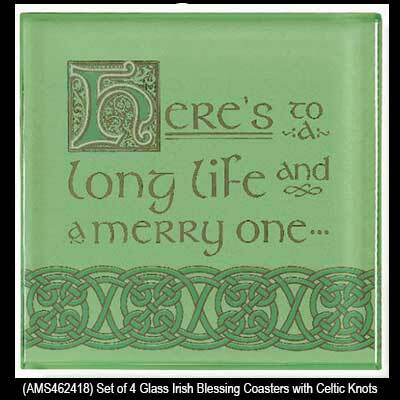 From there you may also wish to browse the assortment of Irish whiskey glasses that we at The Irish Gift House offer in various glass designs and also as selections from Galway crystal and from Mullingar Pewter. 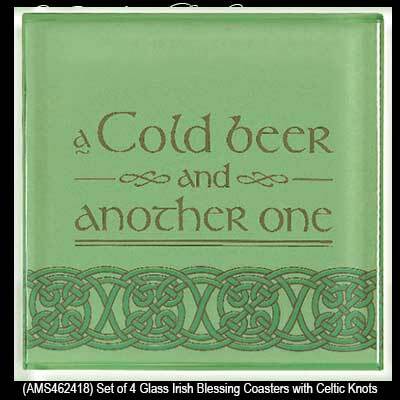 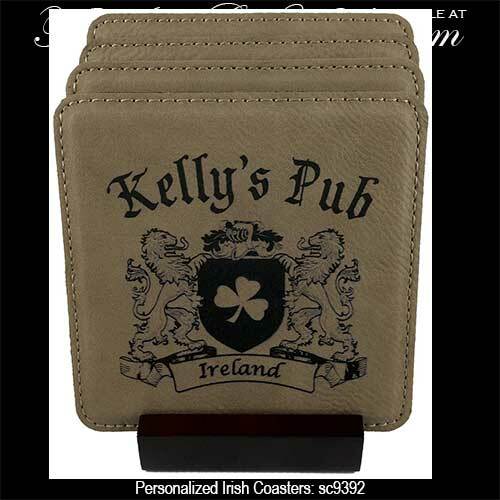 Naturally the Irish coffee glasses and the Celtic goblets would also complement any of our drink coasters as would our selections of Irish tankards which would be a grand way to serve a pint of your favorite beer. 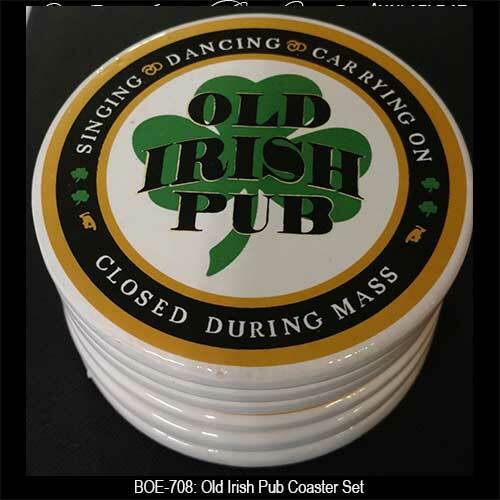 Another consideration for further augmentation of your Celtic coasters would be the selections of Irish beer glasses and the Guinness glasses, and if the black stuff is your brand, please take a look at the Guinness tankards too.